"Excellent learning platform for IT professionals"
The myriad of information on their website can cater to nearly anything I need to learn for my job specific tasks as well as overall career progression. Need to learn about something specific (like IAM) for an AWS deployment, it's there. want a certification in AWS to further your career? It's there. The amount of topics included really are staggering, Apple, AWS, Cisco, CompTIA, GIAC, and more. There's not much that I'm interested in from the perspective of a security practitioner that I could ask for more of. If you're on a time crunch to get understand something, the hosts sometimes babble about things off topic to the videos. This only ever irritated me when I was trying to crunch a 60 hour course into about 2 weeks, my own fault, but enjoyed their rambling as it helped relieve any stress that I inflicted upon myself. If you're cramming for a test, or just looking to further your career, this is the platform to do it. I've used Pluralsight, Lynda, Safari Books, and more. I found this platform to have the most security and IT topics delivered in a video and audio format. Solving the issue that people learn differently, some people are visual learners, some are auditory learners. I find the platform extremely flexible with the different learning methods that people are strong with. If you're a visual learner, watch the video. If you're an auditory learner, the mobile app allows you to listen to the videos much like a podcast. If you like to read, they provide you a ton of notes to go along with the video. What I like best about ITProTV is the availability of content. Not only do I have access to hours of video content, but also practice exams and (the reason that sold me on the subscription service) most of all the labs. I absolutely love the labs because I can actually apply some of the knowledge I've read and watched a video on and get a real hands on experience with legit windows OS. The only thing I dislike about ITProTV is that below each video is a transcript of everything said in the video. This can be very useful for those of you that would prefer to have that, but to me it slows down the overall performance of the browser running the webpage. And I have a pretty good computer, so perhaps i'm just spoiled with a fast computer and a slightly slow page. But it doesn't prevent me from using the site. I'm not necessarily solving business problems, but the benefits of ITProTV is that I'm able to access multiple types of courses that spread among many different types of certifications that I would like to get in due time. The courses at ITProTV have lots of extra information. They don't just teach what's required, they go above and beyond to include real-world examples and to make sure you understand the topics. They've even expanded their courses to include a broader range of topics so you now get even more opportunities to learn which, in my opinion, makes what you pay worth every penny. Additionally, their customer service is outstanding. Any time I had an issue or question, which wasn't often, there was a friendly and professional person there to help. Vivian Pezet even went above and beyond to make sure I stayed as a satisfied customer even though the question I asked was not anything that ITProTV had control over. This is a company that truly cares about their customer. I guess I would say what I dislike is that there are too many things to learn and not enough time in my day to learn them. It's like walking into a store and having someone say: "You pay x amount and you can get whatever is in the store. We're also going to update and add to the store so you get the latest and greatest without having to pay a dime more." Start the free trial and see what you find. If you don't like what you see, you don't have to continue. However, I think you'll like what you see and stick around like I've done. For me, I am trying to learn things outside of what I do on a day to day basis. The things I am trying to learn are what I used to do at a former employer and now have forgotten. I want to try and stay current on the off chance that I lose my job and have to work on a different platform. With the selection that ITProTV offers, I can continue learning, practicing, and reviewing when I start to forget again. "Best Online IT Training Out There!" Not only do you get great Training videos on a huge range of topics, you also get access to Virtual Labs for a lot of the courses and also Kaplan Practice Exams. New courses are added continuously and you can even watch them recorded live! I especially like the two person format, instead of just listening to one person, you have a Host and a guest speaker both are SMEs. I haven't run into anything that I don't like so far(and I've been subscribed for the past few years). Don't hesitate, if you decide it's not for you, you can always cancel. There are lots of courses, all them are very well explained. Having two hosts it makes the learning easier and funnier. All instructors know and explain the topics really well. The studio sets are all cool. As a premium member, I had an online meeting with a career concierge who guided me about which courses path I should take. For each course there are a lot of labs where we can practice with real devices, and also exam questions simulator. It would be good to create several price plans, and limit the courses acces according to different paths or maybe the level of certifications. I wish they add the recording day for each video, but it's not really important. Sign up, check the course library and watch the free videos and live courses before get subscribed. If you like it, go on, the money it's totally worth it. I had some network issues in my company, an example how ITProTV helped me is when I wanted to create some account user within the server, I searched "Active Directory" in the search bar, and I went straight to the episode of the Windows Server Fundamentas which talks about Active Directory, I watched the 30 min episde and I already was able to create those user. "Once you start watching you can't stop... that good!!!" I have much respect for ITProTV and the staff so I couldn't think of a good constructive criticism. But I will say the intro/outro on the episodes now is less energizing than it was before (with the edgy rock music). ITProTV has helped me gain more IT knowledge and skills in the last 18 months than I have been able to do in 5 years (without ITProTV). It has saved me time and frustration from searching for relevant information and skills. The problems I've been able to solve with ITProTV have been with computer hardware and configuration in an education setting. My current problem that ITProTV is helping with is getting spooled up on networking. "ITPro.tv sets the standard of IT learning." The hosts! I've used Lynda and Pluralsight, along with several others and none have come close to the standard that ITPro.tv has set when it comes to IT learning. Information is well paced and features a conversation with hosts rather than a slideshow with voiceover. Their "edutainers" are personable and engaging, which really confirms their "binge-worthy learning" slogan. Many times, I have found that I've learned more from watching ITPro.tv than I have from my IT classes at school. While I love having both an app for my phone and my Roku, I wish there was a feature to cast to my TV from my phone. Also, I think custom playlists would be a cool feature. It's great if you prefer a video host format as opposed to dull voice-over slideshows. If you’re on the fence and would like to experience ITPro.tv before signing up for a subscription, They have a decently sized library of free content (which I binged…) along with live shows during the weekdays. I personally have the premium subscription that comes with career resources, practice exams, and virtual labs, though I’m sure the basic video only subscription is just as great. ITPro.tv my resource of choice on my journey to becoming an IT professional. I use ITPro.tv for self training and for certification prep. As a college student working at the campus helpdesk, ITPro.tv's courses for entry-level IT workers have already helped me enhance my troubleshooting skills, and also provided a great resource to expand upon what I learn from my more experienced coworkers. "Technology training for the 21st century"
There are two things I like best about ITPro.TV. First is the format of the lessons. Using the This Week in Tech (TWiT) model, ITPro.TV presents each lesson as a live broadcast. During the live broadcast, viewers are able to chat with one another and submit questions about the material. I, myself, have yet to watch a live show as I have been partaking in the on-demand recordings of these shows. The other thing I like best are the hosts of these lessons. All of the hosts are experts in the topics they're training viewers on and are able to demonstrate what they're teaching with ease. My company has been using ITPro.TV for over a year. To be honest, there really isn't anything I dislike about their service. GET IT!!! If you are an individual looking to earn certifications and technical training or a company who wants to train up your staff, ITPro.TV is the way to go by far. We are using ITPro.TV to get our team trained up on the latest Microsoft technologies. I myself am using ITPro.TV to learn about Windows Server 2016 and Microsoft Exchange 2016, two technologies we are implementing in our new datacenter. My technicians have also used ITPro.TV to get their Windows 10 certifications. Constantly adding content relating to everything that matters to me, as well as recently expanding into various other ‘soft skills’ that could certainly be beneficial to many of its end users. ITPro.tv is also very open and keeps its users up to date with updates of how the program is progressing. Honestly, there isn’t anything that comes to mind. If anything, I’d love for their iOS app to allow you to modify the audio playback speed (a la podcasts) so I could get through a full section or two on my drive into work. As it is now, I download the MP3 and do my own post processing. Look for all of their content for things you may need moving forward, not just for the tech you use now. Remember to utilize the practice labs and practice test credits. Researching new technologies for use at the office and keeping up to date with everything going on in the sector so I can speak with confidence when something comes up at work that may require a new initiative. "Everything you need for IT skills"
I like the variety of content and the relevance of the information. It has helped me with two certifications, and I am working on completing graduate school with this service. I especially like the deep dive in coverage and the real-life stories on how the technology has made work easier. There is nothing that I dislike. If I must be nit-picking, in the beginning, the course sections were somewhat long. It is better to break them up into smaller groups. Like for instance the length of a typical lunch hour. Current information of how to use the technology. This site has helped me with two certifications and also as the supplemental material for my grad school classes. I found this site extremely helpful for a database class that I had. Don provided a depth of information that the book I was using couldn't provide. I also learned a great deal about using VMWare for my classes and for work. "ITPro Has Revolutionized How Our Department Does Training and Prepares for Certifications"
Watching ITPro doesn't feel like a standard instructional or training video. Instead, the hosts have actual personalities and show an excitement for what they are presenting. The material is presented in such a way that I have found myself having that 'A-Ha!' moment when going over an area that has left me baffled in other instructional media. I do not have an issue with the content itself as ITPro is constantly adding and updating courses and libraries. The iSO app is constantly crashing, limiting instructional time to being planted infront of a computer. View the sample and free courses and peruse the course catalogue. You will get a good idea of what ITPro is all about. We have a very small team and have to frequently wear many hats. ITPro gives us a leg up in learning new tools that we can implement into our daily routine, even if we never pursue certification. ITProTV has very thorough curriculum that can be easily accessed on their mobile app. Additionally, Practice exams & labs help me know I'm retaining the information effectively. Mobile app can pull a lot of data if you're not careful, although I submitted this as feedback to ITProTV and was promptly assured they were looking into it. Consider what you actually need from ITProTV and use that to determine which tier you should purchase. Not everyone may need the practice exams or labs, so save money where you can and only purchase the tier that grants access to the full course library. I needed a convenient way to study for my IT certification exams and ITProTV's thorough curriculum and mobile learning options was exactly what I needed. "A training asset that no IT Professional should be without!" The disciplines covered and amount of content is simply amazing. If there is an area of tech that I'm not strong in, my first stop is IT Pro TV. I have used their hours of video to supplement my own studies and it has helped me tremendously. With their help I have obtained my CCNA, Network+ and Security+ certifications. As a former Navy Master Training Specialist, I can highly recommend the IT Pro TV Team! I have been a faithful customer for years. I understand that they need to protect their product and prevent a monthly subscriber from downloading a ton of content and then cancelling, but a yearly subscriber could do the same. I wish there was a way for a monthly user to gain the benefits of a yearly user, perhaps for subscribing for over 3 years. Either way, I have no intention of ever dropping my subscription. I can assure you that won't be disappointed. I don't use the service as much as I'd like, but I continue to pay month after month because I feel that it's extremely important that it's always available to me. For topics where you're weak or just don't have much exposure, it can be a lifesaver as well as a job saver. You simply can't go wrong for the price. IT Pro TV has helped me earn certifications. At my last position, I needed to know more about Microsoft SCCM and they were instrumental in getting me up to speed in a hurry. I have many such examples and I have already started lobbying my current employer to invest in IT Pro TV. With over 90,000 users across more than 140 countries and with 100's of IT workers, I believe it would pay huge dividends. There are so many benefits behind the service that it is difficult to select just one item that I like the best. However, I would have to say that it is the dedication of the staff to consistently improve and provide quality content. I would like to see improved apps for mobile devices. I have been sitting here for 4-5 minutes trying to think of any complaint I've had in the past, and none come to mind. I know I might be a bit strange in this, but there are times where I have absolutely no agenda with respects to learning a new topic/skill. I've often re-watched some of my favorite courses simply because I enjoyed the hosts, content, nerd humor. I like that the hosts bring real world experience into the training, and also address specific exam objectives (if one intends to get certified). I've tried several other services throughout the years, and found them lackluster and sometimes even discouraging. I will be a lifetime member of ITPro, as long as they continue to value their platform as much as I do. This keeps me current, and often my co-workers are surprised and wonder how I manage to work, play, and still have time to invest in a constantly evolving industry. I've been promoted, I've been offered lead roles in international projects, and oddly enough, developed a close friendship with the COO of my company. "The Leader in on Demand IT Education"
The hosts. It's easy to tell that the hosts speak from experience. With this genuine experience they are able to clearly articulate complicated subject matter that someone with no experience may not necessarily grasp. The massive amount of updated certification training units. They are very good about keeping up to date which is paramount for anyone in the industry. The practice exams are very well written and designed. Hands on training after you watch a show is a perfect way to help retain the knowledge. I would be nit-picking to find anything wrong with the service but if I had to I would say the practice exams can run a bit slow. I recommend if you're highly motivated and have the will to succeed in the IT industry that you give the service a try. It's still going to take work on your part but if you set your goals correctly this product WILL help you succeed. I started using the service as a way to supplement to school work because it was lacking. Since then I've been using ITPro TV to further my career in data security and other areas IT related with great success. What I like best about ITProTV is the vast amount of courses available in their course library. The delivery of content by the subject matter expert hosts allows for a more dynamic learning experience. I appreciate that hands-on demonstrations that help with the concept competency goal for the learners. The content is current with the certification vendors and with the skills needed by IT professionals of all levels. The inclusion of the Transcender practices exams that are included are a very nice bonus! With a few of the courses, it seems as if the content was not in the correct order as the host mentioned that concepts were covered in earlier video though it was not until later in the playlist. I would like to see an educational plan added to the subscription plans. When I recommend ITProTV to my students, the cost factor is usually what keeps them from subscribing. I highly recommend getting trying out the free subscription plan to sample the free content and the live broadcasts to get a taste of the high quality service that ITProTV has to offer. I recommend using ITProTV to my current and former students, as well as colleagues in the IT industry. Continuing education with staying current in the IT field while continuing to pursue more industry certifications with the big three: CompTIA, Microsoft and Cisco. . IT is a dynamic field and we must always keep learning both new skills and refreshing our current skills to stay relevant and informative. "Best I.T. Resource I've Ever Used"
The hosts. There is something to be said about the way their hosts are able to deliver all of this content to you in such an enjoyable fashion. You will leave every episode understanding what they are talking about because they are able to break everything down in such a way that you are engaged and retaining what they are saying. I love that. The content is always fresh, being updated, they do live streams, interact with users and there is so much content there currently and more coming that it would take you a long time to go through it all their courses. A single course is not that long in the grand scheme of things which is great. They break their courses into episodes so you can gather a lot of information in a half hour and come back to another episode later that will focus on something different but still be on task work your course. It's excellent. Quite honestly there is nothing that I dislike. I know a few people who also use ITProTV and they also have nothing but great things to say. I've used other educational tools in the past like this. They are by far the most enjoyable to use. I recommend ITProTV to everyone looking to further their career. ITProTV stays very current with their content and updates so it's extremely easy to keep my own tech skills up to date by following along with their courses. The added benefit of the practice labs and utilizing those is extremely important to anyone whom does not have a test environment to work with. Staying up to date in I.T. is one of the most important aspects of the career. ITProTV helps you stay current and makes it extremely enjoyable. They have a great library of IT videos that are both informative and entertaining. It makes learning fun when it would have otherwise been dry. The labs are reason enough to buy this service. The labs let one walk through actually configuring real equipment. One doesn't have to follow the instructions strictly. Exploring and trying different commands has been so much more useful than other labs that are linear. There is also the ability to take Transcender practice exams and this has helped a lot to reinforce the material. It's a great service to anyone interested in developing their IT skills. IT is a broad topic so they have tons of videos and different series to cover a vast majority of the material. I'm very happy that I made the decision to start a membership with them and don't forsee this changing for years to come. I'm currently using this to advance my career by developing skills that are not taught at my school. There are several great shows on Python and I just got my first Cisco Certification a few months back. As a newer IT professional it can be overwhelming, how much there is to learn. This is a way of integrating learning into my day. A good IT person is always learning. "ITProTV - Real World Awesomeness"
I personally like the practice exams a lot. Because if I'm training on something I want to know it will be applicable to an industry standard. The video courses of course are great. Don is awesome. I really love the real world pieces of wisdom and to see real problems pop up during video courses with real solutions. The labs need a little work. They are great, but running in a browser they are a little clunky. It's possible it's the best it can be, but it's the only thing I can really complain about. There are a lot of ways to get IT information, but ITProTV is true training from a group of really great IT techs. It brings together practice exams, labs, and videos into a complete concise and organized approach. The on air live streams are awesome too, it really shows how ITPro is dedicated to the IT world and keeping it's business refreshingly transparent. Tailored training for ongoing and future projects. If it's related to IT we've found that 9 times out of 10 there's a course on ITProTV. The benefits relate to the ability to watch at one's own pace. The labs are useful. "Best solution for busy professionals needing to sharpen skills"
Very professional staff and talent, diverse selection of content, and lessons are broken into very easy to watch segments that make perfect material to watch on a lunch break. I frequently view certification overviews to see if there may be other certifications I had not considered in my line of work, CompTIA Project+ was one of these. I watched the series to gain a better understanding of project planning and even though I did not take the certification test, I was able to better understand and communicate with the Project Managers to make us more efficient. There's always room for improvement, I have suggested several different courses they could add such as some more in-depth SQL training, like being able to write Queries and such. I use it to study for new certifications to gain more skills in my career. I started one certification course and realized it wouldn't have accomplished what I wanted, I would have been out some serious money had I done that in a classroom setting. I like how professional and clean everything is. I also feel that Don is a good person and it shows in everything he does. If I have to put something it would be that some of the people worry what others will say about them. These people just feel like good people and don't have anything to worry about from me. It is a great place to try if you don't go all in then whatever but try it and see. I use ITPro to learn more about my field. I work for an MSP now and feel this will help me learn a little of everything. "A Must For Anyone In Tech!" I honestly believe the company are there for the benefit of their members. Anytime I've had a query they manage to respond and resolve my issue within minutes. Combine with an amazing product and easy to navigate the mass of courses they have! Nothing to dislike! I seriously am unable to think of a dislike. I have used ITPro.TV to train up and attain both CCNA and Windows Server 2016 qualifications which have both enabled me to progress my career. I have been a customer of ITProTV for a couple of years now. In comparison to other IT training related websites, nothing else compares. ITProTV really is the complete package of what an individual would need to further the career, knowledge, and foundational skill set. ITProTV only gets better with time. I have no complaints as their content is ever expanding while they finely tune every aspect of their website. If considering using ITProTV as a longterm subscription service, I recommend waiting to lock in a "on sale" price as ITProTV is slightly expensive. Whenever I find myself with some extra time I turn to ITProTV for my certification and training needs. Whether it is reinforcing rusty foundational skills, or learning something new and exciting, you can always count on ITProTV. "Awesome! Everything you need to learn a new solution"
Too much to list. The videos are in depth and complete, instructors are easy to understand and follow along with. The practices labs on REAL hardware is awesome! Access to Transcender practice exams. Definitely will be renewing my membership. The number of courses offered is also incredible! Can't believe it took me this long to discover them! Haven't found anything I dislike. ITProTV is an awesome value. I have already recommended it to other folks. Check out the free account and you will see for yourself that no one can touch ITProTV. Check out their free account, the value they provide can't be touched by anyone! Excellent videos, lab environment on real gear, and access to Transcender exams. What else do you need? Learn new a new solution, and for me, prepare for a few exams. ITProTV does both! "They are good and professional expertis "
the way the give the course its like TV show , I can spend 3 hour continuous .they have some time funny story in between witch is related to subject . My Team the wont improve in CCNA , and other courses . "My experience with ITProTV training was informative, interesting, engaging and rewarding. " The best feature of this training is the TV type presentation and the interaction between to facilitator and the instructor. Somehow, I am not sure why, this approach keeps my attention longer and make you feel as if you are in the room with them. I do not have any areas to provide as something that I dislike. I am taking courses on VMware to improve my technical knowledge as an IT project manager for the Florida Agency for Technology where we maintain and manage a state wide data center. I am also taking the Lean Six Sigma Green belt class and hope to engage AST management in future process improvement projects. "Minor niggles but overall a great product"
The presenters have relevant real world experience, and include anecdotes to reinforce a number of the topics. The "talking heads" method of presentation also works well for me, and avoids the boredom that can creep in listening to the same person. In addition, ITProTV offers a one-stop shop of videos, labs, and practice questions, which means our learners do not have to jump from platform to platform. At times, the presenters can seemingly waffle on about things, that leads me to get distracted by other things. ITProTV allows our organisation to deliver a remote learning package as part of our portfolio. This has enabled us to secure clients from outside out local geographical area, which in turn promotes our brand further afield. Huge variety of courses and topics. It peaks the interest to learn something new that is outside of your technical skillset. There is no way to tag favorite episodes or to create custom favorites list of courses. I want to be able to explore all the episodes and full courses and then put checks to the ones I want to see later. I want it to be similar to like Netflix in saving custom lists. This has a broad spectrum of training outside of your popular technical disciplines. It will open your eyes to see that there are some technical tracks that you may have little information about. We are elevating the technical knowledge of all techs, network and system administrators in IT department. "Best training platform on the market"
That I have passed my Azure and office 365 MCSA exams using ITPro.tv and also used other courses to refresh or expand my knowledge into other areas of the IT landscape. Also as a manager it has helped me monitor and drive professional development among my team. There are not enough hours in the day to get through the tremendous amount of courses they have so much to learn and so many learning tracks you can take. "I switched over from another training vendor from the Paul Security Weekly team's recommendation"
The pace at which the content is updated. Access to tests and labs and advisors. Extending access beyond typical IT courses. It was a little more expensive than other options, but the value present in the higher cost was huge and well worth the switch. Having access to always updated content is so important in IT, and ITProTV are always working on something new. 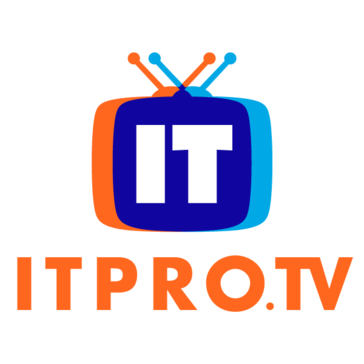 I have certifications that I have to maintain and grow, and ITProTV continues to develop and improve content for me to access and new ways for me to do it. Wide range of content to satisfy the curious and hungry mind. The hosts are easy to understand and enjoyable to "be around." They draw you in and help you feel involved in the learning process. I find myself looking forward to getting home from work so I can spend some time learning. The Roku app is a nice feature as is the mobile app. Sound and video quality are great. I wish I would have signed up a long time ago. I have two gripes. First, the mobile app is frustrating. Its large tiles are bulky, and it's not easy to quickly get back to the course(s) you're in the process of completing. You have to scroll through a lot of stuff to get back to where you were. Secondly, the website's left-hand margin menu does not scroll independently of the video window. Small issue but I've found it inconvenient. At least give it a try with their free trial. I think you'll get hooked. It's for general education and it's helped in several different ways for issues at work and at home. I've watched several different courses not directly tied to one another. Looking forward to using the virtual labs and taking practice tests. "ITProTV is an Excellent Resource"
There is an excellent variety of courses available. Each course is broken into digestible episodes that are well organized and informative. Completion of coursework has improved knowledge and understanding of the tasks my staff perform each day, and I couldn't be happier. I have no major issues with ITProTV. One minor issue is that security is underweighted in the list of course topics, and that seems to be an increasingly critical part of IT. We have implemented new technologies by first going through the ITProTV training, then tackling the project in question. That has helped with new Windows servers, Linux servers and our VMware farm, among others. The value for what all you receive with the premium membership. I haven't found anything close! It's a one stop shop for everything I need to learn the materiel, prep for the exam, and apply what I've learned in the labs. The first exam I've prepped for is ICND1, passed on the 1st attempt! Some of the navigation in the site, switching back to the course from the labs or practice tests could be a little better. I seem to have to go back to the main menu and finback to where I was. Not a big deal though! Sign up for the premium membership if you can. You will not regret it! They take care of active military and veterans! Customer support is very responsive! The benfits I have seen, is that ITPro provides an excellent training resource for an organizations IT personnel. It goes well beyond just test prep and cram you usually find. "ITPROTV review from Terry Deckard"
A few of the instructors chat too much off topic and this causes the lessons to go much longer than they should. Pay by the year and save some money. I am finishing my B.S. IT Security degree from WGU and have some Cisco classes I'm taking. ITPROTV and Don's Cisco classes are a tremendous help to me with these classes. "Very comprehensive the thourough IT training videos. The hosts don't put you to sleep like others." I like the back and forth between the hosts. If it weren't for this, I think there would be many questions left un answered. By this i mean, if the teacher says something that may not make sense to a new person, the other host will address this in simpler language. There is a great back and forth between the host that make the educational content top notch. I do wish they had more big data, and database admin topics pertaining to coding in the various programming languages like PHP with MySQL, and SQL. It Pro TV helped me develop a healthy understanding of all it related Systems admin topics. "Get Certified with a rock solid learning platform"
The Transcender practice exams included with my subscription are very accurate in telling me my progress toward successful exam completion. On both of my certifications I waited until I could score 90% or better on the practice exam before the scheduling the real test. On both tests I scored very high. Nothing. ITProTV is helping me change careers and improve my standard of living. I'm not finished learning with ITProTV. I still want my CCNA!! Watch the free courses and live stream first. Try before you buy, you won't regret it! I gained certifications for CompTIA Network+ and Cisco CCENT and I am now working as a Network Field Technician. It is a really nice one stop shop for all of your training content. There are lots of options from Microsoft to Cisco to VMware and all at a very reasonable price with different options to fit your needs. I am a visual learner and ITPro.TV really makes learning the material easy in their 30ish min episodes. One thing that could use some improvement is the ITPro.TV app. All the content is there, but it doesn't start you where you left off like the website does. With each episode I watch I learn something new that can be implemented into my day to day workflow making me a better employee and getting me closer to my next certification. "comprehensive range of training mateiral"
a big decision when deciding if we will go with ITPro was the online labs made available on certain courses. The product works best when scheduling time in your day and focusing on the course material. Taking the practice exams and then go through the course material again prior to going for the formal exam. The courses are engaging to watch. I tried other training providers which i found most of the time i was staring at a whiteboard which got old very quickly. The instructors really helped me understand some complex topics in simple ways. There are also practice labs and practice questions to help with exam day. Currently watching a series on Powershell which is assisting me and my team to better automate our network. "ITPro.tv - Easy to Use"
The system is easy to use and accessible from any platform including a Roku Channel. Moving around the interface as a manager isn't the easiest but it has significantly improved from when we started using the product. Do it. It has been a great investment for us. Our staff love that they can easily learn new technologies or refresh on items that they haven't worked on it awhile. Our staff can easily stay up to date on the latest technologies without having to go out and do a bunch of research. "Easy to follow and fun to watch!" I like how easy it is to find content. There is also a crazy amount I can learn from all the videos. I don't think I will ever get through all the content. The Android App doesn't have enough features. My most recent courses are not brought to the top of the course listing. Try out the free content and see if its a good fit for you. Many problems were solved, personal and professional. I find it satisfying when I solve or learn to implement neat features in my home setup. Wide range of courses taught by highly knowledgeable trainers. The practice tests give you a good idea of how much you know of the specific course and what areas you need to work on. My favorite thing is having the Labs. Its very nice not having to spend money on your own lab at home. There's little to dislike. A couple courses don't cover every requirement for certain tests but not enough to complain about. Expanding my knowledge has helped me get more responsibilities and access to equipment at my work. "Great resource for IT training"
Great, down to earth, instructors building upon real-life practice. Covering a wide range of topics of interest for IT pros. No particular dislike on the course content. Having expanded with quite a lot of content over the years browsing all the courses in the folder structure can be sort of cumbersome, but the search feature and taxonomy makes up for it. It is being used both for certification preparation, but also for keeping up to date on technologies which is very valuable for me in an IT architect role. "Its amazing to learn from these pros, the way in which the topics a break down to the most basic." The way in which the topics are structured and the videos are not long and drawn out. There is really nothing to dislike the solution. Strongly recommend this as a solution to meet the training needs of your team. the delivery and structure of the courses is in the most simplest way making learning very easy and enjoyable at the same time. The mobile app is very convenient and encourages learning. The supervisor portal really assist in ensuring the assigned courses are completed in a timely manner. Staff were not trained properly in the positions held. We were able to assign specific roles and responsibilities to meet the business requirements. "Great courses for IT professionals"
I absolutely enjoy how the content is presented, enjoyable as watching a TV show! I also like their vast amount of content with new material produced nearly every single day. The content of their topics is extensive and detailed. ITProTV offers a free trial. Lately I'm using ITProTV mainly for learning topics about Linux and networking. There are so many different technologies and ITProTV shows the use of it in real-world environments. Training allows me to improve my abilities. What do I like the best...hmm, the content. Lots of useful information. Plus ITProTV allows you to download the videos. Great for travelling or wherever there is no internet and you still want to study. Some features that I don't like. For example, it has the record of my progress for a video but won't play from where I left. I have to remember where I stopped previously then resume from there. Also when I finish one video, it won't automatically jump to the next video. Sometimes the steaming isn't good even I manually change the video quality to 360 still not good. You can download the content. Price is good. As an IT guy, I have to keep learning all the time. ITProTV could help my knowledge up-to-date. Clear to understand delivery style on the videos, Accurate information without being too (!) specification heavy (they aren't reciting the tables for you), conversational, but getting the content delivered without waffling. These courses are definitely helping me pass the exams. Looking forward to passing a lot more exams with their help. IT Pro TV really does a great job at adding value to a video training subscription. They provide some pretty good labs and practice tests, and the trainers are just plain awesome. They put out content faster than most other providers that I've tried. I think there could be a better way to request courses, but they've kept up to date with most of the training I've looked for. I'd love to see more Cisco stuff like CCNA/NP Data Center and Collaboration, but I realize that those are more specialized so it's understandable. I commute every day, so I'd love to see easier ways to learn from audio only. ITPro.TV is an affordable training option but you don't have to sacrifice quality of training to use them. They cover a wide variety of topics and the conversational nature of the sessions is easy to follow. Haven't found anything yet. Did notice there were not very extensive Citrix training offerings at this time. Cost/benefit concerns for on-demand training for my technical staff. This has been a great option for them to come up to speed quickly. The real world experiences and real-time teaching in contrast to others that just go through a set list of exam items or read directly from a study guide. At times certain sessions can get off topic. And it's not really a dislike because the personalities of the hosts and their conversations are a positive thing, but does lead to some off topic situations. ITPro TV is spectacular training. Real world situations and scenarios help a lot. * We monitor all ITProTV reviews to prevent fraudulent reviews and keep review quality high. We do not post reviews by company employees or direct competitors. Validated reviews require the user to submit a screenshot of the product containing their user ID, in order to verify a user is an actual user of the product. Hi there! Are you looking to implement a solution like ITProTV?